GN Solids Control have some batches of solids control mud treatment equipment in stock for sale. we stock the main equipment to fast delivery and easier management in order to support the market in better way. For now, we have some batches of submersible slurry pump, centrifugal pump, shear pump, shale shaker, mud agitator, and decanter centrifuge in stock. If you need some items urgent, pls contact GN Solids Control or GN Solids America freely to get immediately response support. We already sign agreement with the supplier of the main parts (coupling, bearing, gearbox, etc) for centrifugal pumps, agitators, slurry pump etc. In this case, the supply period of the main parts can be reduced. Thus, the total delivery time of the complete sets of solids control equipment can also be improved efficiently. We don’t have complete sets shale shaker in stock. We have main parts for immediately assemble in stock. And generally we need about 5 days for the assembly. 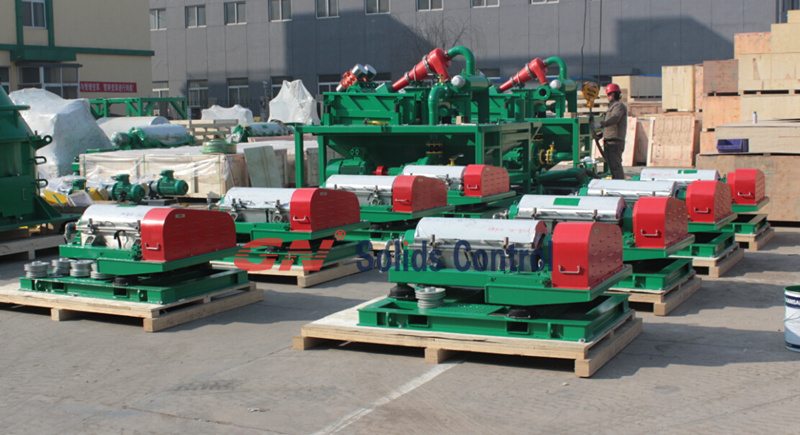 The assembly parts for shale shaker or mud cleaner or desander or desilter are the same. The stock parts can improve the delivery rate in a high efficiency. GN Solids Control have over 30 sets decanter centrifuge in stock for urgent project requirement. Formerly, we make the centrifuge by orders. And the normal delivery time should be about 30 days. But now, you can contact us for urgent project. And the delivery time generally can meet the requirements of the most clients. Except for stock in China facility, GN Solids Control also have some branches in USA, Russia, Australia, Argentina, UAE, Iran and Egypt. Our facility in USA already in operation for over 3 years, and we improve the market there based the facility. Our facility in Russia in operation for over 2 years and we improve the market there also. For other places, we have some agent for better service.